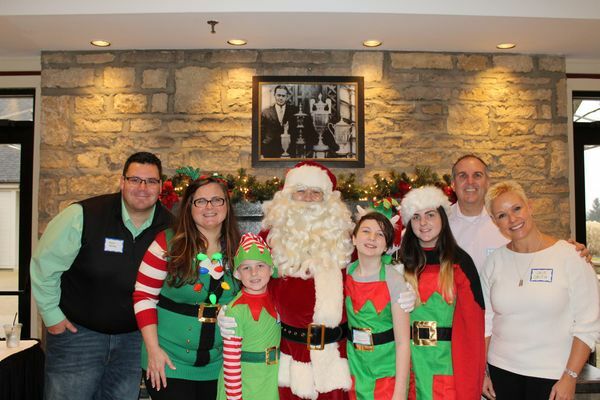 The 2018 MSAC Brunch with Santa was a huge success and also the largest event the committee has ever held. As you may recall, last year’s event sold out in under 4 hours and a 2nd seating was hurriedly added. Brunch with Santa in 2017 was just over 350 people. This year, through good planning and the assistance of The Country Club at Muirfield Village, a full second seating was added brining the capacity to 400. Despite this, a small wait list still existed, so the MSAC committee worked to add additional people from the wait list. The final attendance ended up at just about 420 people. Santa and his helpers were able to spend the morning with all of the kids as they worked diligently at the various craft tables and the helpers got to spend time with Santa himself. Thank you to everyone who helped make the event a success. The Muirfield Social Activity Committee wishes everyone in Muirfield and their families happy holidays. Below are some of the volunteer members that helped make this great event a success. View more photos of the event here. Just a reminder drug take-back day is this Saturday. December 22nd from 10 a.m. to 2 p.m. at the Glick Road pool parking lot. Bring your unwanted medications to safely and conveniently dispose of them. What can I drop off at Take-Back Events? At this time, the service is taking pills, gel-caps and dry medications. We are unable to take liquids, inhalers, or any type of needle, syringe etc. The service is free and anonymous, no questions asked.